No matter the business you run nor the industry you’re in, micro management can always be tempting. It’s all about control! As the manager of a business or a specific area, you may wish to oversee absolutely everything. You may want to make sure everyone is on the same page. The newsflash is; unfortunately, that’s not always possible. What’s more, the temptation to micro-manage can be detrimental. Not only to the running of your area but to the morale of your team! With this in mind, how can you effectively maintain a same-page approach while keeping morale and productivity high? The answer lies, of course, in systems. SYSTEMology® is built around the idea of keeping things simple. It’s also built around the idea of keeping everyone singing from the same hymn sheet. A good system, set up to autonomously support and enable those who use it, will also remove the need for constant checks and measures. The temptation to manage from afar and even up close may be strong. However, one of the main reasons for investing in a solid system or two lies in the fact that you can enable and empower the workforce completely autonomously. We’ll take time in this article to look at how the bad habits of micro management can be put to sleep with a little discipline and with a little help from a certain systems authority. Are you already inspiring your team enough – or maybe a little too much? We’ll move on to the next step. The big myth is that the business owner needs to be doing this. In the early days, that’s what makes this so hard to transition. I’m a reformed micromanager. Some of my staff will say, oh, I’m not reformed. But when you start a business, as a business owner and a visionary, you get a very clear picture of the way that business should run and should be. You grow a business to a certain size, and it’s reinforced by all the success you’ve had, the clients that you’ve got and the magic experience that they have. It’s reinforced that you need to micromanage the process. That’s how you built the business to where you are today. The problem is that those skills which have been reinforced are now what hold you back from growing it through to the next level. To scale, you can’t micromanage. You can’t be across everything. You have to let your team do it. So this is why it is the hardest step for a business owner to move through. Once you’re reformed, everybody loves you. Your staff, they can’t get enough of it, they’re glad, they give you the space, and they do their own thing. There are two main tools I’ve developed: one’s the department responsibilities and roles chart, the DRRC, you’re going to love my acronyms. There are going to be a whole lot of acronyms, and there’s the system’s assign sheet, the SAS. So that’s what I’m going to walk you through. Oftentimes, I am my own worst enemy. So Charlie and I were having a little bit of a chat in the lead-up to this event. I send him a message, and I say, Hey Charlie, can I borrow you for 45 minutes? We just want to talk about the event. I’m a notorious micromanager. We’ve done so many revisions of Nick’s presentation. I get Charlie on the phone, and I say oh, can we do this, this and this. Here are all of the things that I want you to cover as part of the intro. You heard at the start of the day; he was telling you where the toilets were and things like that. Believe it or not, I actually have a list for that, and I’d given it to him, and I was walking him through it. The next day after we chat, Christian sends an email through to Charlie. Hey Charlie, just wanted to know here are the reminders of the day before the event and basically exactly what I told him. I get in the way of these systems all the time. Business owners are the worst. You need to get them out of the way, so the team can do their job. Charlie. (This is me) Looks like the guys are following the system and I’m not. We’ve already talked about this. So the purpose here is to show you, all too often that the business owner gets in the way, even when you’ve got good systems and processes in place. The key is when you look to systemize. 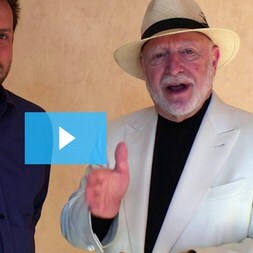 I took a group of 25 business owners through a SYSTEMology® coaching program late last year. It’s the first time that I ran it. I just wanted to get it out of my head. So I got all of these people together. A few of those are actually here. I went through this process, and one of the biggest things I found was they were all the business owner. They got all excited by systems and processes just like when you read one of those books you like. Yes, this is awesome. They had so many great insights and breakthroughs and then the reality of work set in. In the day – today, they quickly forgot about SYSTEMology® and the application of it because a lot of them were micro-businesses with one, two three staff. The Insight here is where SYSTEMology® comes alive, is when you’ve got five to seven staff, up to about 50. If you’re in that sweet spot, happy days. You’ve just discovered the Holy Grail. If you’re not, then you’re probably going to systemise too early. If it’s just you, your systems need to be uber basic, just main bullet points. Don’t go into great detail. You don’t need to worry too much. If you systemise too early, it’ll take you off doing the real work of going out there, getting clients, proof-of-concept, getting the right product to market fit, making sure that people actually want to buy it. So you’ve just got to make sure, where am I up to to get clear on how deep into the system’s process you’ve gone. 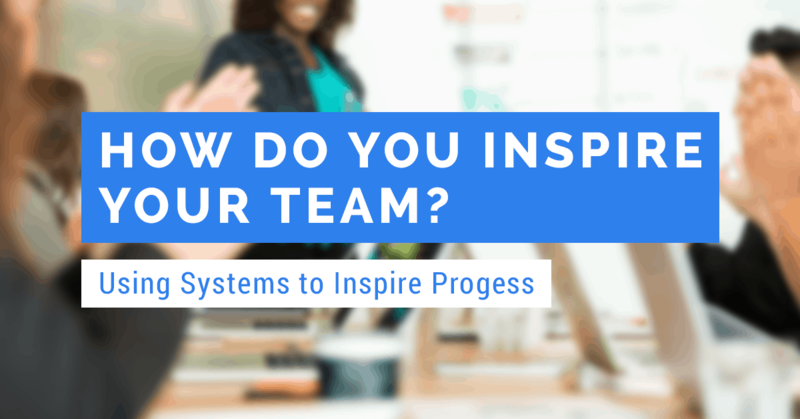 While systems are changing the way many of us manage our teams, it’s tempting to still get in the way. SYSTEMology® aims to make micro-managing a thing of the past. While it’s perhaps a battle that’s not yet been won, it is at least helping managers from all walks of life to see their behaviour up close. Systems help to keep everything on the same page. What’s more, they take away the need for checking in and checking up every five minutes. Your team could have access to a self-explanatory set of processes and systems that negate the need for a leash. 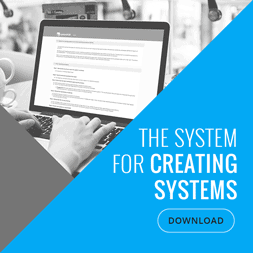 These systems don’t just answer questions and generate ideas. Removing micro management from your plate effectively means you have more time to spend on the things that matter. Everyone is reaching for that essential boost to productivity and efficiency. Remove the temptation to do ‘micro’ anything, and you have a whole load of extra time to use wisely. Your team will be thankful, too. While close management can drive results and can keep people on the same page, there’s often little need. Let your team breathe. Support them with a flexible system that provides answers, support and clarity. Make sure you have access to the same systems, and you will all be working together in unison. Are you a micro manager? Has SYSTEMology® helped to transform the way you support your team and processes? We’d love to hear from you.